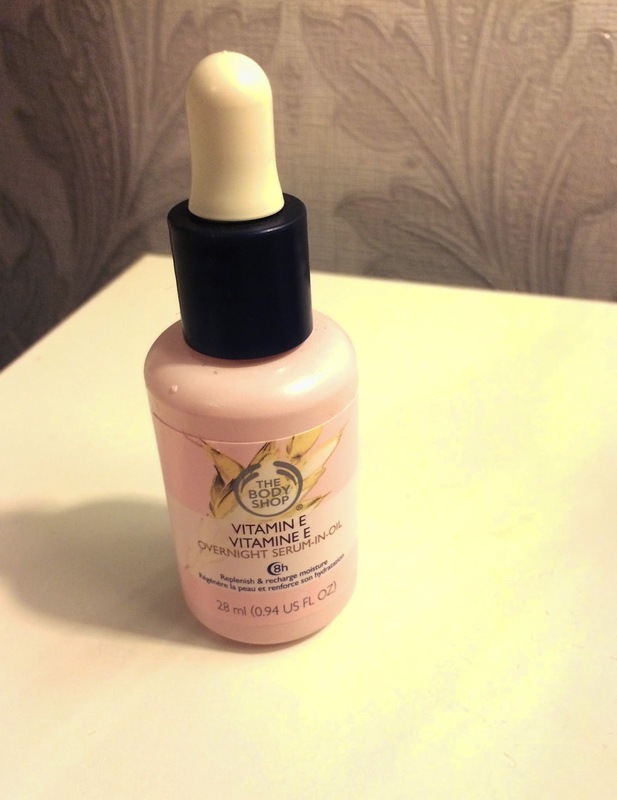 So back when I showed my Spring Favourites I promised to do a more detailed review of The Body Shop Vitamin E Oil and today I am finally doing that. Since it was in my favourites post you can probably guess that I do like using this facial oil and I will tell you just why. Product Info: This oil is available at The Body Shop and costs $28.00 for a 28ml bottle. Consistency: This is a very light weight oil and it absorbs into my skin in around 10 minutes. It is not a heavy oil by any means but it does pack a powerful punch and my skin instantly looks radiant when I apply it. How I Use It: I don't use this oil every night but more as a treatment oil 2-3 times a week. When I do use this oil, I don't generally use another serum because this oil contains a serum in it already. I just cleanse, tone, and my skin is good to go. My Thoughts: I really enjoy using this oil as a treatment for my skin. I find that it makes my skin look more radiant and even toned as soon as I apply it and when I wake up in the morning. I also notice that when my skin has those little tiny bumps that aren't quite pimples, after using this oil, they seem to disappear. Overall: I would definitely recommend trying this oil if you are unsure about it. I love the Vitamin E because it helps to restore skin and heal any imperfections. The oil is also super hydrating without leaving skin greasy and oily when you wake up. I hope you enjoyed this little review. 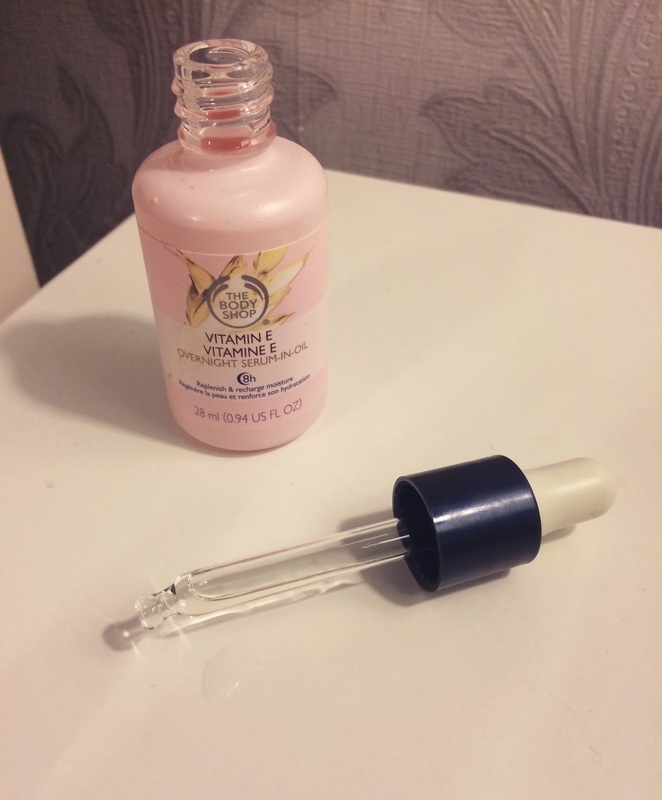 Make sure to let me know in the comments if you have tried this Oil or any other items from The Body Shop's Vitamin E range.